In the run up to my first solo exhibition I began a collaboration with David Hogarth, at Allendale Forge Studios. 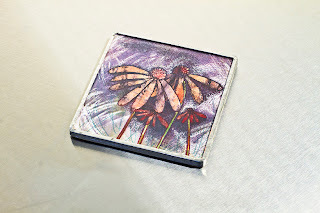 He makes lamps, glass coasters and stained glass panels. 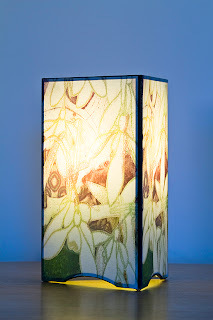 His lamps that got me thinking - he creates lamps from photographs and illustrations. 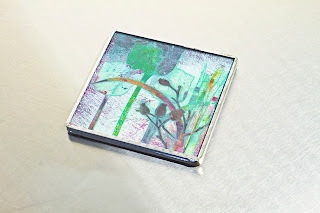 With such a wealth of talent at The Forge I thought his lamps and coasters would lend themselves well to artist's images so I asked him to make 3 lamps (above) and a selection of glass coasters using my floral monotypes to test the idea. Both ideas proved to an absolutely rip roaring success. 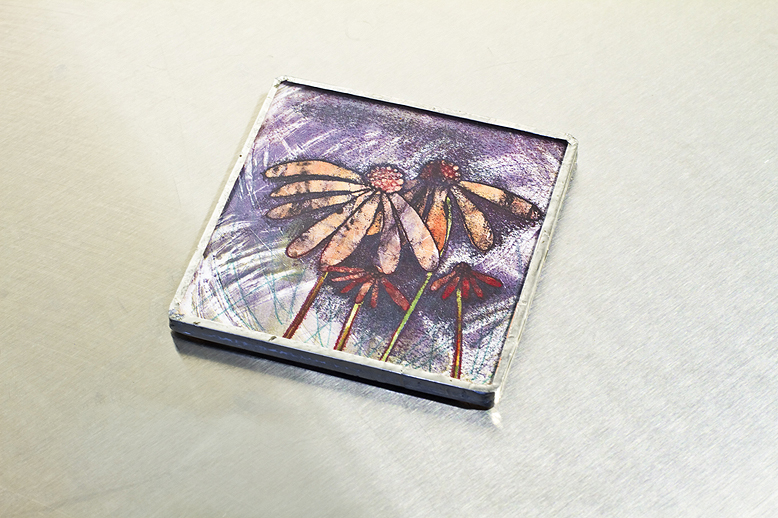 Orders came flowing in for bespoke lamps based on the framed prints I was exhibiting and the coasters flew out the door. In January I was exhibiting at Bianco Nero Gallery in Stokesley, North Yorkshire. 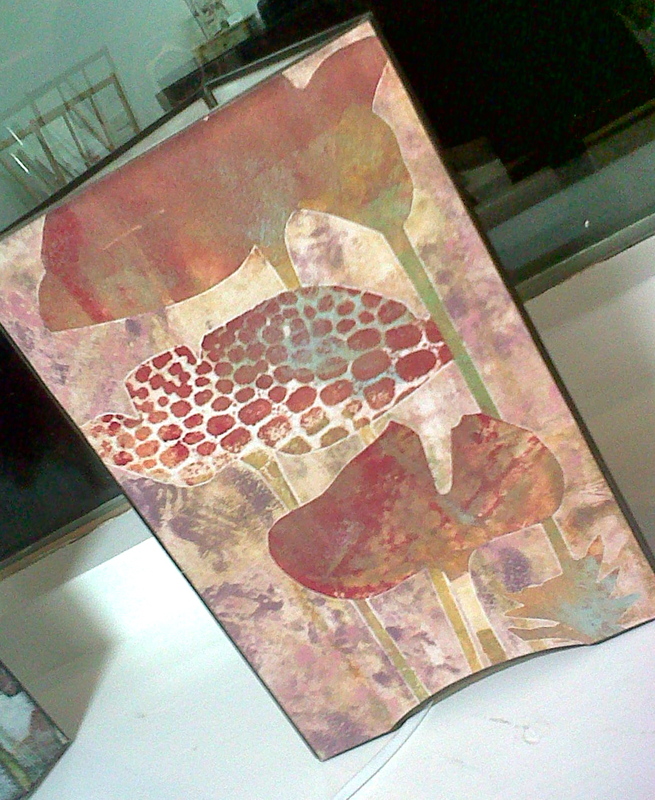 David made a selection of new lamp designs and this time, rather than selling coasters individually I supplied them in boxed gift sets of six. The coasters sold out rapidly and most of the lamps. I'm now resupplying the gallery with more of both to compliment the next exhibition. 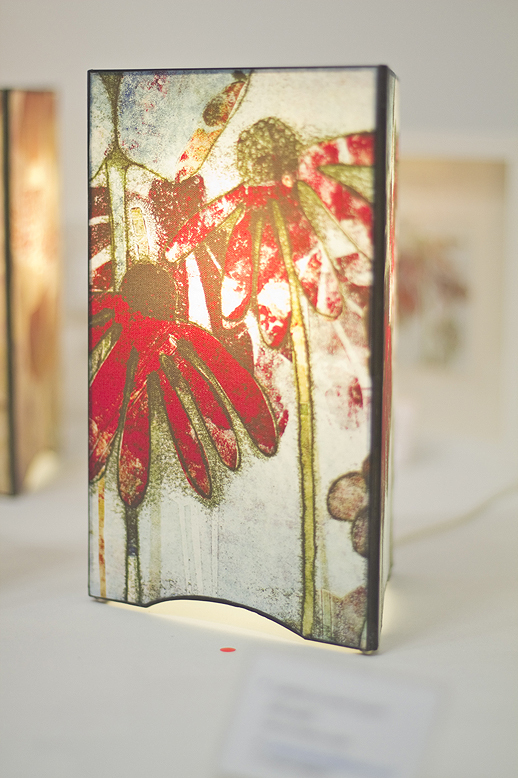 Customers are placing additional orders for lamps using their favourite floral monotype images and I'm lining up additional outlets. In these recessionary times many people think twice about investing in an original piece of art. But people still want something a little different for their homes. The lamps are functional and yet decorative - a way of having that original print that might be a little more justifiable. 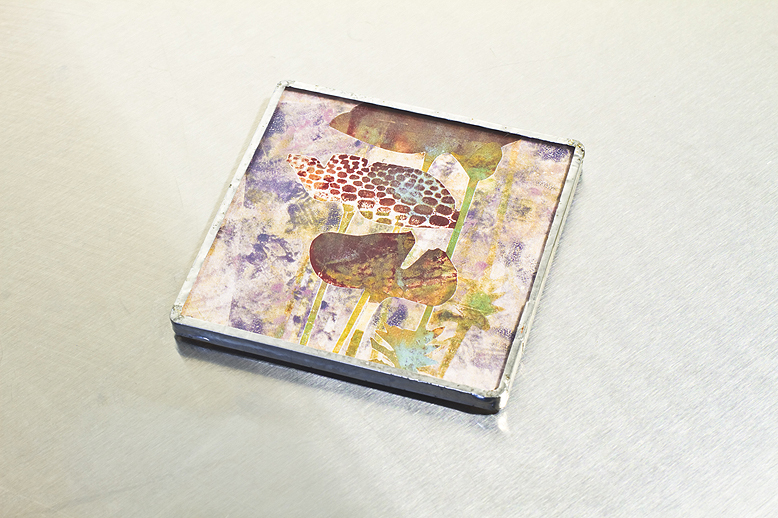 The coasters are a way of taking home multiple prints, decorative, functional conversation pieces. It is great to find ways of diversifying and making ones creative efforts pay when money is tight. 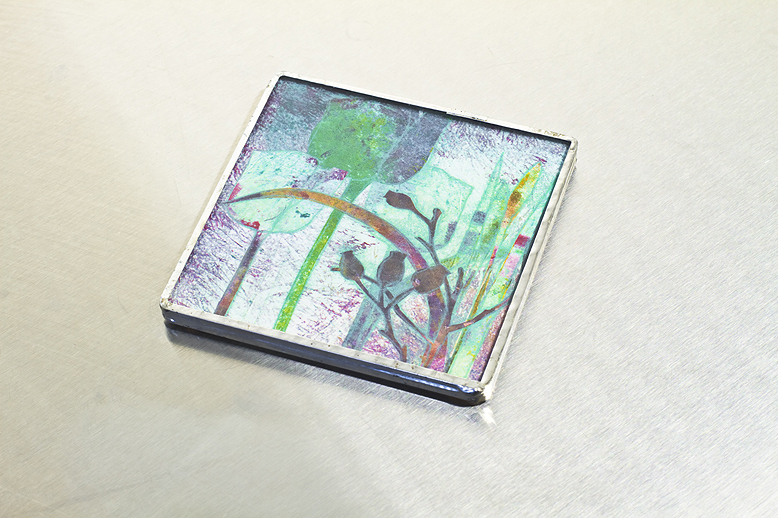 You can see the extensive range of images available to choose from here. Email me if you're interested in placing an order. 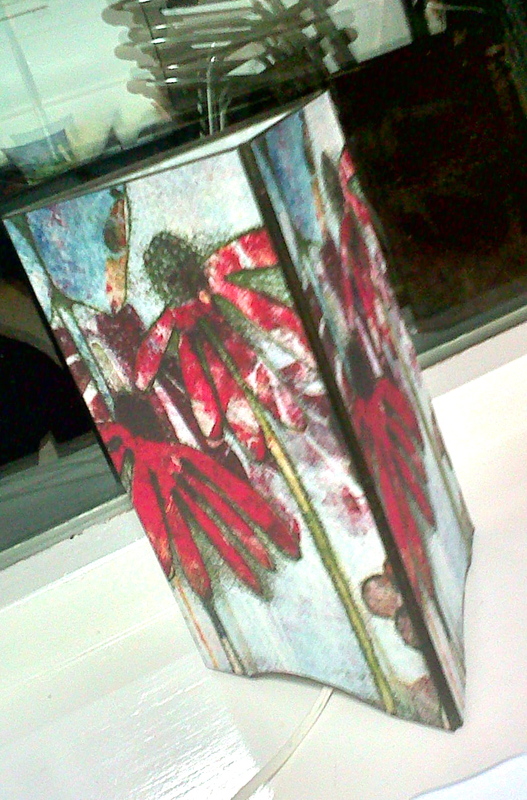 Lamps cost £60 each and boxed sets of 6 coasters cost £36. Prices do not include postage and packaging. Is this dumming down from a purist perspective? Maybe? Does it help pay the bills? Looks like it! 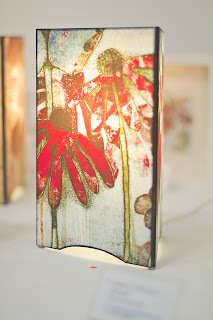 Hi I have just come across your Blog and just love your lamp collaboration are you still making them? ?